Transport and the ways we use it in our daily lives captures the attention of all of us. 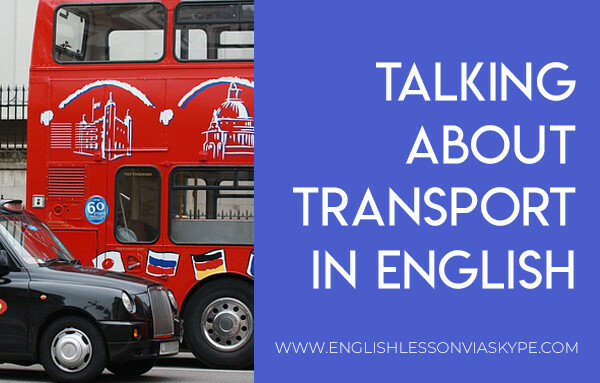 I thought that today I would talk about transport in English and set out some of the means of transport we use in English vocabulary across Europe and the UK. This will help you to improve your English. Transport to work is often a choice of Private or Public transport. Private transport is what we provide ourselves (e.g a car) or by a private operator who wishes to make a profit. 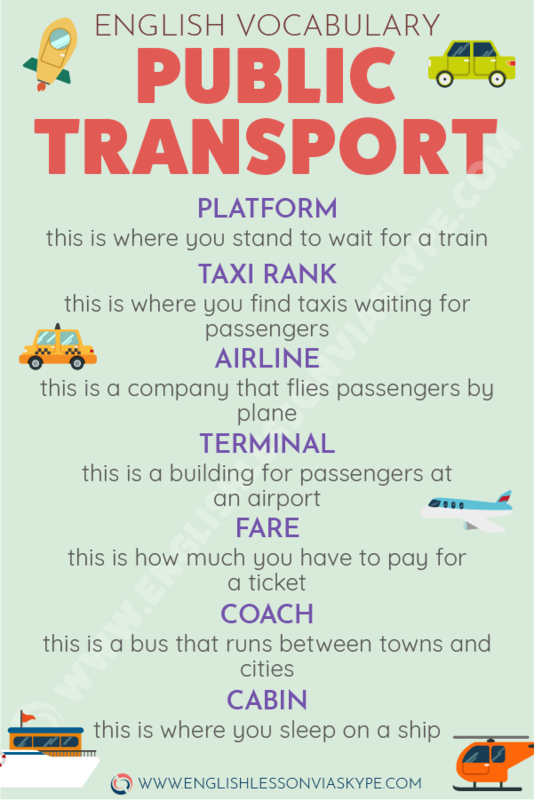 Public transport is the means of transport which is provided by governments and is not necessarily provided for profit. Vehicle is a general noun used to describe any motorised method of travel and transport. This can include a car, bus, lorry and truck. The choice of vehicle depends normally on where we live. Governments usually provide many different choices in capital cities and bigger towns but there is normally less choice in rural or country areas. buses – double decker, single decker, mini buses and trolley buses. For those who wish to skip the traffic then there are motor bikes (motor cycles) and mopeds (scooters) are becoming increasingly popular. Taxis remain popular for those in the larger cities such as London and New York. You can find taxis waiting for passengers at a taxi rank. We now also have the new taxi option referred to as Uber Taxi’s. Trains also come in many guises (forms) diesel, electric, underground and over ground). Trains travel on two tracks made of metal. Underground trains have different names depending on the city/country that we live in. In America they are referred to as subways, in London as simply the underground or the tube and other cities as metro. You wait for a train on a platform. If you prefer a fast way of travel, then you can use an aeroplane. Nowadays there are many budget airlines (companies that fly passengers by plane) and you can fly to many destinations relatively cheap. If you are travelling to an island, you might prefer to take a ferry (a boat or ship that transports passengers and/or goods, especially over a relatively short distance and as a regular service). 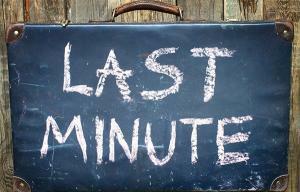 If you happen to travel overnight, then you sleep in a cabin. If you have travelled in Asia you will be familiar with the very small Tuk Tuk a mix of a motor bike and small car. A great way to travel and sometimes the only means of transport in rural areas. And I am sure most of you are familiar with a bicycle, you pedal your bicycle and get from A to B easily. It is also a great exercise!